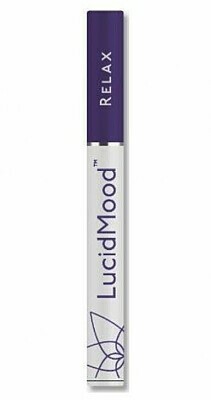 Take the edge off with Lucid Mood's Relax formula. The cooling taste of lavender is quickly followed by a wave of relaxation through your body and mind – melting your tension and anxiety. 1:1 THC:CBD plus Pure Terpenes 200mg Sipper Pens. These fun, discrete, convenient, attractive portable vape pens are great for heading to a concert, movie, show, meeting, cocktail party, before and after a workout. Available in four moods, they can be purchased individually or as a complete set packaged in an elegant silver, engraved carrying case perfect for your purse, pocket, car, laptop bag. You can even mix your moods to tailor your experience. These pens require no charging. Simply draw gently from the mouthpiece and you are ready for you next LucidMood experience. When the pen is empty, please be respectful of the environment and dispose of properly.